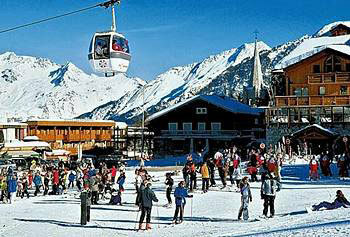 Pierre & Vacances Residence les Chalets du Forum Courchevel, Hotel France. Limited Time Offer! 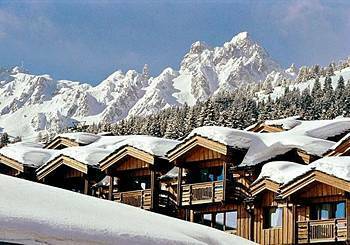 The Residence Pierre et & Vacances Les Chalets du Forum is made up of 3 lovely wooden chalets featuring optimum comfort. 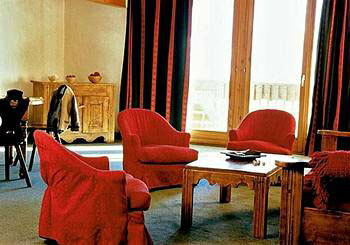 Located around 100 metres from the shopping area in Courchevel 1850, an internationally-renowned ski resort, this establishment is an ideal place to stay in order to enjoy your vacation in a friendly atmosphere.The residence’s apartments are spacious and beautifully decorated in worked wood furnishings. The apartments range from 2 rooms for 4/5 people (40 m2) and 6 rooms for 13 people (140 m2). Each one features a balcony or a terrace, television, WiFi (for an additional fee) as well as a fully-equipped kitchen and 1 to 3 bathrooms, depending on the category. The residence also houses a salon, heated ski lockers and a covered parking lot.The Residence Pierre et & Vacances Les Chalets du Forum’s central location make it an excellent place to stay, whether in summer or in winter. 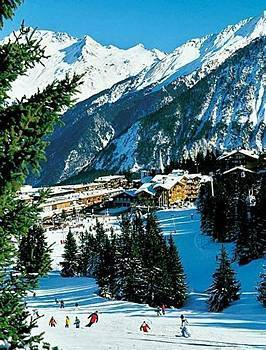 The slopes and the hiking trails can be reached in just a few minutes. The La Vanoise national park is also close by. Make sure you enjoy browsing through the shops in the Forum shopping mall.